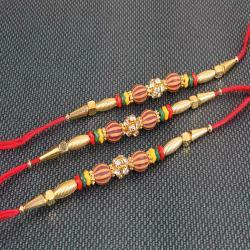 Product Consists: Marvellous Shiny Triple Rakhi Set nicely tied on a designer Card. 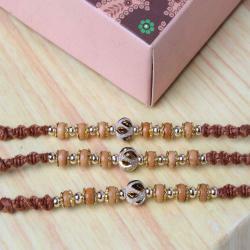 Set of three sparkling Rakhis made especially for you to celebrate the occasion of Raksha Bandhan. Red silver golden combination of colors looks amazing with the twinkling of glitters. 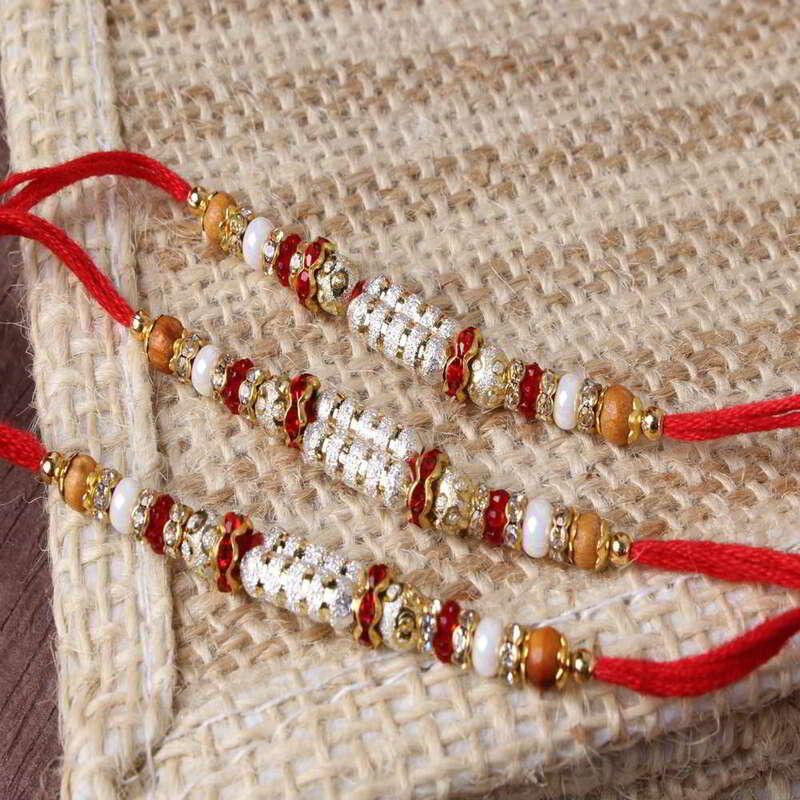 Send your love with this special Rakhi and celebrate the eve with your loved one. 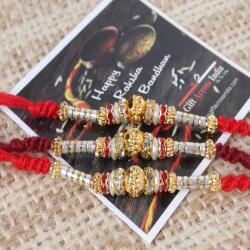 Twinkling glitters at the middle of the Rakhi is what makes it attractive. Sending your love with this special Rakhi will make the occasion of love glow and will make the brother sister bond stronger. 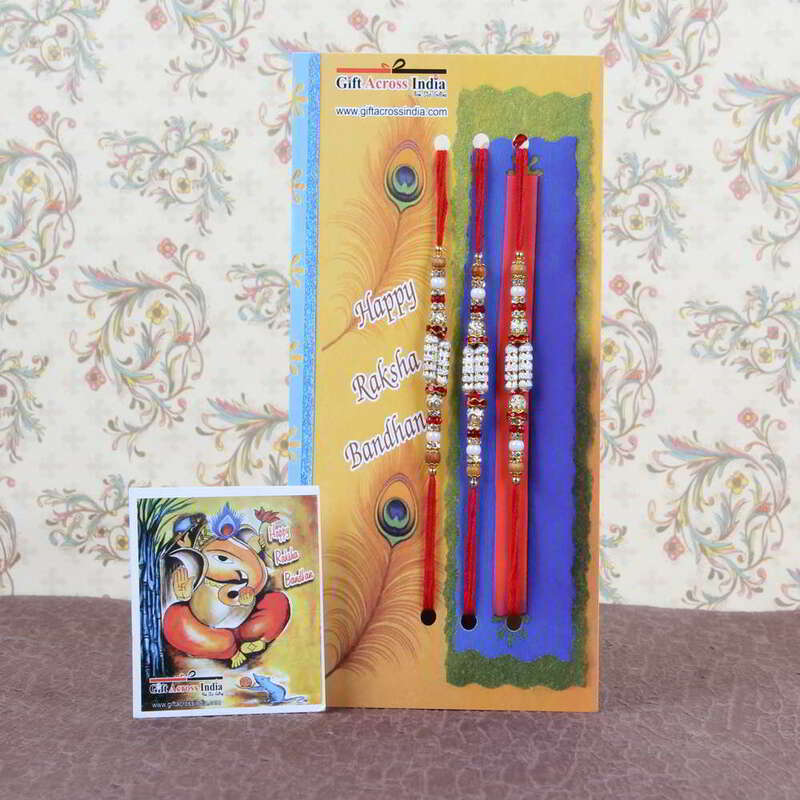 Make this amazing Rakhi be part of your beautiful memories which you can remember anytime. 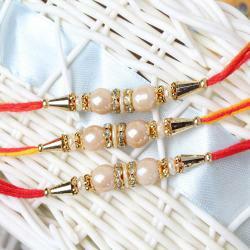 Product Consists: Marvelous Shiny Triple Rakhi Set nicely tied on a designer Card.